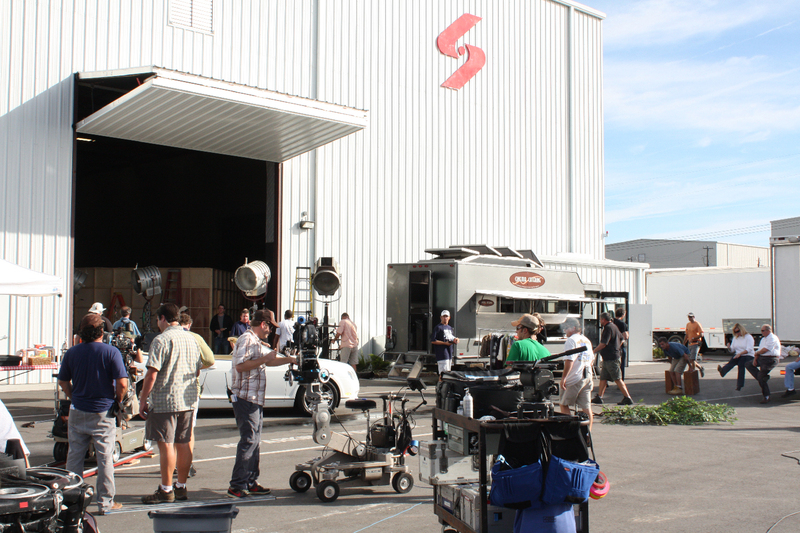 THE WILMYWOOD DAILY – 12/27/2013 – Fox’s Wild Blue, Sleepy Hollow Filming Today, and More. Good Friday Morning Wilmywood! As we get ready for the weekend, I definitely have something for you to chat about as a question popped up that needs to be answered. What the hell happened to the naval drama that was supposed to shoot here? Remember the Fox pilot we talked about ages ago? I believe it was in May we first caught wind of Wild Blue. Yeah, that long ago. This pilot would have had one of the biggest budgets in history for its pilot, reaching $15 million. They called on department heads and cast the show. Everything was good to go. They were literally a day away from building the air craft carrier here in the Wilmywood area. Then, they decided to do another rewrite. Then…Nothing. And there has been nothing said for seven months. So what the hell happened? No, it didn’t move to Georgia or Louisiana, it just kinda fizzled out. Fox had been very interested in getting a naval drama on the air — last season it bought a second script with a similar setting, from House executive producers Russel Friend & Garrett Lerner and 20th Century Fox TV, which also took place on a naval aircraft carrier and had an upstairs/downstairs dynamic. In the end, one of the two, The Bridge, renamed Wild Blue, was picked up to pilot in January. The pilot cast most of its roles, bringing in Mykelti Williamson, Josh Salatin, Will Rothhaar, Alano Miller and Gina Rodriguez. But the older lead remained uncast, with Tim McGraw, who was the top choice, engaging in conversations but ultimately walking away. It looks like Sleepy Hollow is the King of “Best Of” lists. Yep, more kudos for our headless show. 3 more to chat about. Let’s start with what our friend and NC crew member Darla passed along. Actually, Under the Dome and Sleepy Hollow both made this list! “Five Rookies Among Primetime’s Top-Rated Series of 2013 NBC’s “The Blacklist,” ABC’s “Marvel’s Agents of SHIELD” and Fox’s “Sleepy Hollow” were the standout newcomers this fall, making the top 25 along with a pair of shows that bowed earlier in the calendar year: Fox’s “The Following” in January and CBS’ “Under the Dome” in June. And finally Hunter from the Star News found this one from EW. This time it’s more specifically geared toward Tom Mison, naming him one of the Breakout Stars of 2013. EW puts our Brittish hottie-tottie at #7 on their list. A few of the Sleepy Hollow folks are in town finishing up the big finale which will air January 20th. @TomMinsonFans will be happy to know that both Tom and Nicole are back in town. They are filming on the lot today. The 2-hour, episode 12/13 combo airs at 8pm EST. And remember episode 11 entitled “Vessel” airs January 13th at 9pm EST. They shoot from tomorrow until at least the end of the year. I would LOVE your vote! Some highlights: I think you will definitely wanna vote on these three categories. Best Local Filmmaker: Joe Stauffer, Keith Welborn, Brannigan Carter. So, go on get to votin‘!! TV.com’s “Best Of” is under way, and the site has our NC shot television shows on the list. Under the Dome, Sleepy Hollow, Homeland, Banshee and Eastdown and Bound. Check out all the NC Nominees and VOTE! That just about does it for me; I will have more Wilmywood updates for you Monday morning (unless something breaks). Got Scoop? Email me: sheila_brothers@yahoo.com. Or message me on Wilmywood’s FB . You can also just post your comments below! Until then, that’s a wrap! !